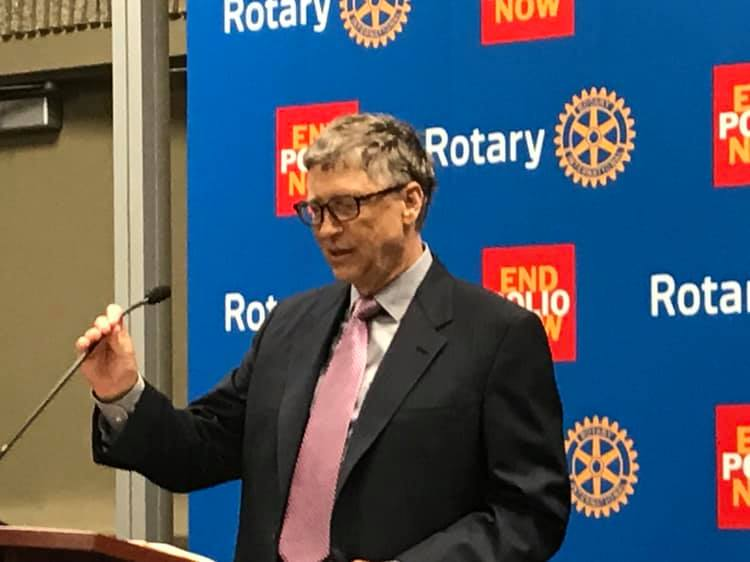 You all know that for every $1 Rotary spends annually of your donations towards Polio eradication that the Bill and Melinda Gates Foundation gives us $2 to do more spending for ridding the world of polio. Thanks to your generosity last year Rotary received today a fund transfer of $100 million from the Gates Foundation. Let’s continue the progress to a polio free world!